The Pod or JPod is the moving vehicle. It can accommodate 1 to 6 passengers, and is handicapped-accessible. Inside the pod is a touch screen so anyone may redirect to another destination while enroute. CCTV cameras are mounted inside the pod for safety and security. 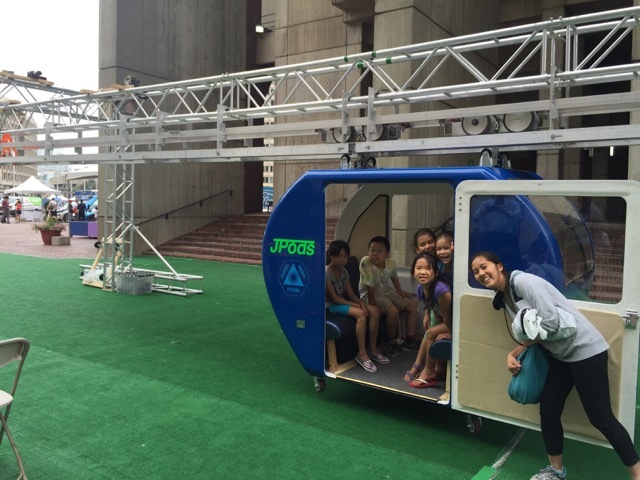 The JPod also houses the environmental control system for comfortable travel. It also houses the back-up battery, capable of transporting the JPod to the nearest station in the unlikely loss of power.